The standard tig torch head is rigid. If you prefer to have one fitted we can do this for your or else you can fit your own for a little less. We can fit a gas connector onto the torch to suit your needs. We stock both bayonet style quick disconnect or screw on gas fitting. Refer to images below to confirm gas connector type. We can fit control connectors to suit your welder's input configuration. We stock 2 pin female plugs, 3 pin female plugs, 7 pin female plugs, 7 pin male plugs. Simply select the required type and we will fit it to your torch. 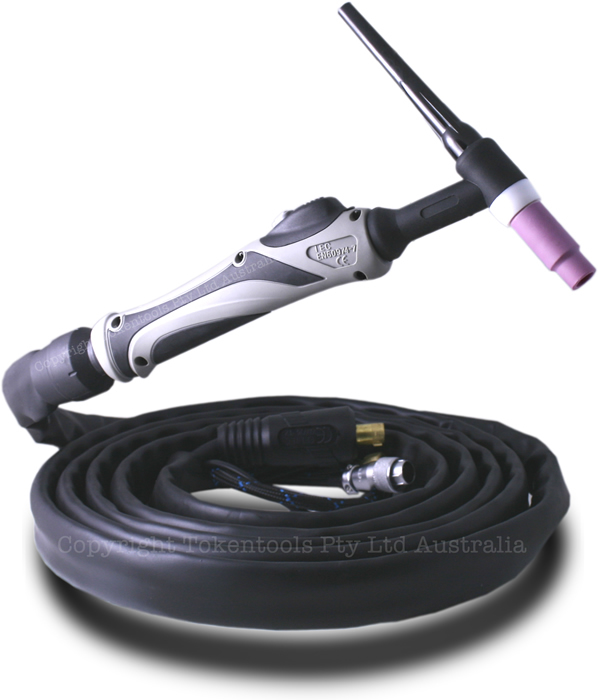 This #18 series tig welding torch is available in either 4 or 8 metre lengths. Sitting at a bench really only needs a 4 metre one but if you move around the job you may want something longer. We have both 4 and 8 metre torches. 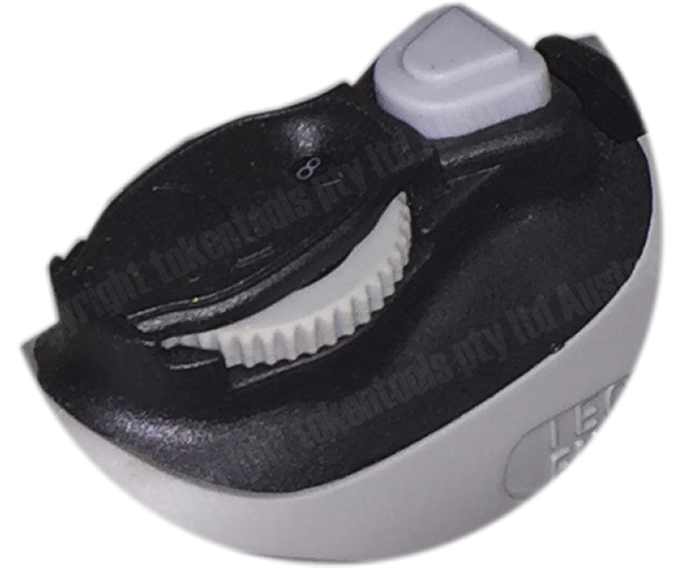 Dinse plugs are twist lock connectors and come in several sizes. 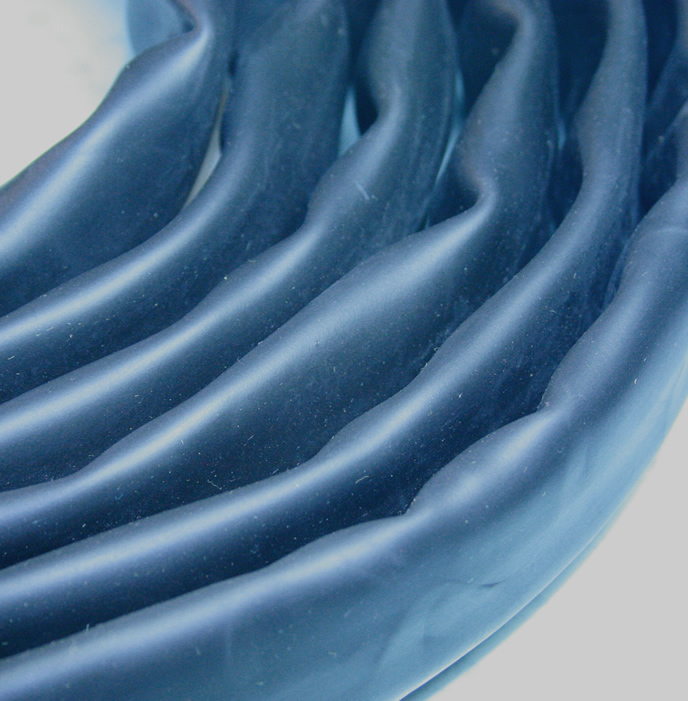 The most common are the 10-25 Dinse and 35-70 Dinse which effectively refers to the cross sectional area in millimetres of the cable that can be effectively used in the connectors. 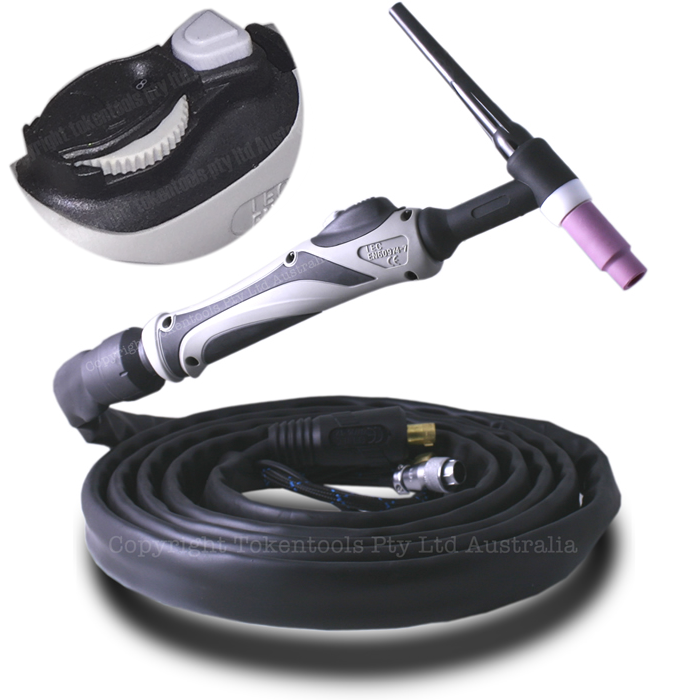 You may elect to bundle a Tig Torch Accessory Kit to your purchase. The 18 series water cooled remote amperage control tig torch, also called WP18 SR18, has a tig welding hand control that you can move with your fingertip that changes the welding amps remotely and includes a membrane push button on-off switch. The 18 series water cooled tig torches are used when welding on a standard 26 type gets too hot, generally over 150 amps. Simply add a tig welding water cooler to complete your setup. There are several options that you are able to configure directly. The default configuration is already chosen. Selecting options will affect the price of this product. Configure the type of Tig Torch Head, use the regular Rigid Tig Torch Head or select a Flexible Tig Torch Head. 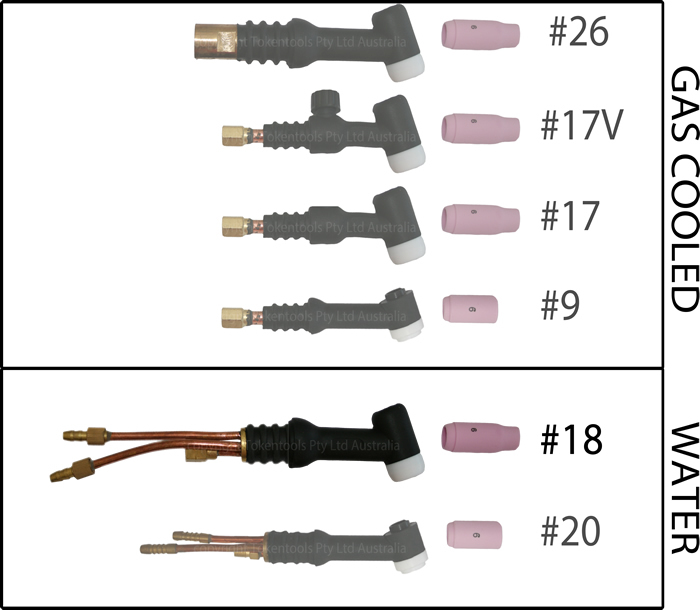 Configure the type of gas connector that you want. We have both quick connect and screw on gas connectors. Configure the type of torch control interface you require. We have 7 pin male plugs, 7 pin female plugs and 2 pin female plugs. Configure the length of your torch. Sitting at a bench really only needs a 4 metre one but if you move around the job you may want something longer. We have both 4 and 8 metre torches. Configure your dinse plug. We have both 10-25 Dinse plugs and 35-70 Dinse plugs. Select whether you require a Tig Torch Accessory kit to be added to your purchase. Please note this torch and it's options are by default compatible with Metalmaster & Tokentools welding machines. If you are intending to adapt to a different brand please call to discuss options first. Branding not only helps you recognise quality products, a brand that has an Australian trademark can be tracked to a physical owner. 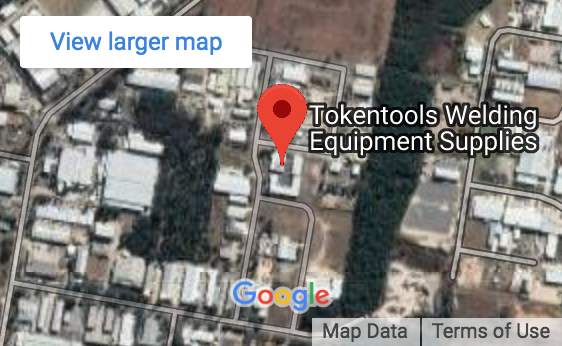 This generally provides more certainty about the authenticity of a product because the contact details of the brand owner are on public record. Create Your Account: Easily track this order and future orders by adding a password to your account now.